How do I find a Virginia DUI Lawyer? - If you are arrested for driving an automobile with a blood alcohol content over .08. - If you are facing a second or third DUI arrest in Virginia or if you are arrested with a blood alcohol content over .15, which subjects you to much more severe punishment. It is important that you realize that a DUI is not a traffic offense, but rather a criminal offense which can subject you to very high fines, jail time, or revocation of your driving privileges. Because of this, you must seek the counsel of a qualified Virginia DUI lawyer to protect your rights. Your lawyer will need to know all about your DUI arrest. You should be ready to provide information about what you were doing before your arrest, the police's behavior during your sobriety test and arrest, and any events that occurred afterwards. Do not be reluctant to share all facts that you remember about your arrest, even if you think it will harm your case. Anything you say to your lawyer will be held to strict confidentiality and cannot be disclosed without your consent. Virginia DUI lawyers often advertise their services throughout the state of Virginia. You probably have seen or heard these advertisements on television, radio, newspapers, or even mailed to your home. While these advertisements can sometimes provide you with a good source of names and locations of DUI firms, you should not rely on their message without further investigating the source. Instead, try to find non-biased information from sources that you can trust. If you are unsure where to start, contact the Virginia State Bar Association for help seeking a Virginia DUI lawyer. The internet can provide a lot of information about Virginia DUI lawyers, but it can be difficult to sort through all of it while finding the helpful information. This website can provide you with some help in finding and comparing lawyers in your area. Use the search function at the top of the page or you can ask questions for legal professionals, who can help guide you through the process. Virginia DUI lawyers often specialize in the practice of DUI defense, as it requires a high level of expertise and skill to properly defend DUI clients. DUI lawyers need to know how to challenge Breathalyzer tests, challenge the procedures of the police in their arrest and questioning of suspects, and must be knowledgeable of the criminal justice process. It is always recommended that you seek the help of a lawyer that has specialized in helping DUI clients and has had past success with them. It will be important that you come prepared for your appointment with your Virginia DUI lawyer so that you can make the best use of his or her time. Your lawyer will need a lot of specific information before they can successfully defend your case. If you have any documents that involve your case, such as police reports, medical records, or paperwork sent form the court, you must bring this to your lawyer's attention. On top of this, you must be ready to describe the surrounding facts in specific detail. For example, you should be ready to give specific details about the places, times, and dates of important events in your case. Bringing prepared questions can help both you and your lawyer get on the same page in regards to your legal representation. They can help you get the answers you need while also helping your lawyer better understand what you want to get out of his or her services. Lawyers in Virginia must meet the same basic requirements before they are allowed to practice within the commonwealth. They must graduate from an accredited law school in the United States, pass the Virginia State Bar Examination, and then qualify to meet ethical standards. While these are the basic requirements for a lawyer to represent you and you should ensure your lawyer has these qualifications, you must also ensure that your lawyer has had experience in the field of DUI defense. DUI defense takes time to learn and practice, so do not entrust your case to a new lawyer or one who practices in a different area of the law. When you are considering a lawyer, never rely on advertisements and claims made from the lawyer attempting to get you as a client. Instead, check with prior clients, other lawyers who work with the lawyer, or browse available information on the internet. Quality Virginia DUI lawyers will have had previous experience defending clients from criminal charges and specifically specializing in DUI defense. They will know criminal procedures and have relationships with other professionals in the system, including judges, prosecuting lawyers, and other court workers. Ensure that your lawyer is a well-organized and professional individual who will not mist filing deadlines and will put your best case forward. While almost all Virginia DUI lawyers are trustworthy professionals who want to help you through the criminal process, you must be aware of how they are representing you and wary of unreasonable fees and expenses. Your lawyer should not miss deadlines in filing your legal documents and should keep in contact with you to update you on the case. If you feel your lawyer may be acting in an unethical manner, contact the Virginia State Bar Association to further learn about your legal rights. Virginia DUI lawyers can charge their legal fees in a few different ways. Always ensure that you fully understand the billing rates and structures before agreeing to representation. It is also very important that you get any agreements in writing from your lawyer. One way a lawyer may charge for their services is by having a single flat fee. A flat fee is paid once at the beginning of representation and will cover all legal work that will be needed. These types of fees are usually used for less serious cases in which the lawyer can accurately predict how much work will be necessary. Another form of fee collecting is the hourly rate. Hourly rates are just what they sound like, your lawyer will bill you based on how many hours spent working on your case. Most lawyers will require a retainer before representing you. A retainer is a required up front payment that will be deducted from as the lawyer spends time working on your case. Hourly fees can vary greatly depending on the lawyer's experience and field of practice, so always be aware of what a good rate should be in your area. What are your fees and what services do I receive for them? What are the chances of successfully defending my case? Can we come to a plea arrangement for my case? How long do you think this case will take? When can I contact you for updates about my case? When will you contact me to inform me of developments? 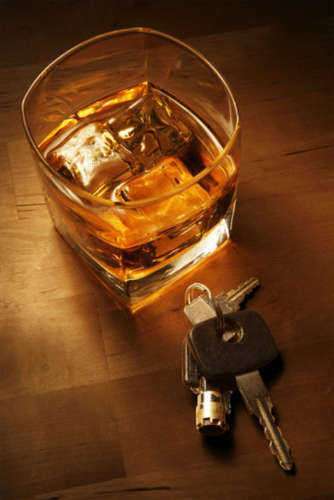 When you are arrested for a DUI, it is highly important that you seek the help of a DUI lawyer. Virginia has very strict laws when it comes to DUI offenses. Just for the first offense, you can be subject to up to one year in prison, up to $2,500 in fines, a mandatory alcohol program, revocation of your driving license for up to one year, and required increases in your insurance premium. These consequences can be severe but a good DUI lawyer can work with you and the court to get them lessened. Therefore, you should never hesitate to hire a DUI lawyer to defend you. There are many qualities that are needed by all DUI lawyers. Virginia's criminal procedures are slightly different depending on the region of the commonwealth you are in, so it is important that your DUI lawyer is familiar with local rules and customs in your defense. They must also have strong knowledge of both Virginia law and the constitutional protections that all criminal defendants are afforded in the United States. Finally, DUI lawyers must have strong negotiation skills, as they will be working with prosecuting lawyers and judges to try to get you the best possible deal without going to trial. Consider all of these factors when selecting your Virginia DUI lawyer.